Search for new butterfly species in this Mahjong solitaire game. Is there a better alternative to Tropico Jong? 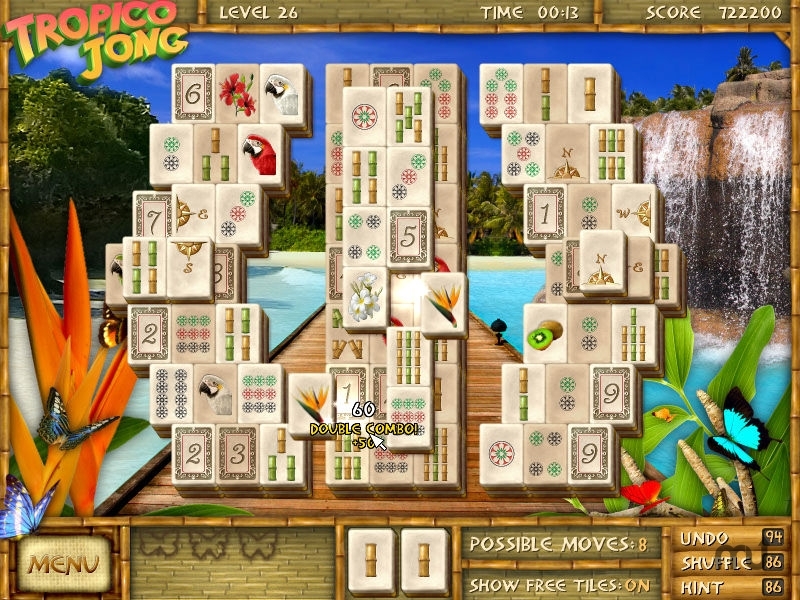 Is Tropico Jong really the best app in Puzzle category? Will Tropico Jong work good on macOS 10.13.4? Tropico Jong... Go on a photographic expedition in search of new butterfly species in this relaxing solitaire Mahjong game. Journey across sandy white beaches and into the lush jungles of Tropico Island. How many butterflies can you discover? Grab your camera and find out! Tropico Jong needs a review. Be the first to review this app and get the discussion started! Tropico Jong needs a rating. Be the first to rate this app and get the discussion started!